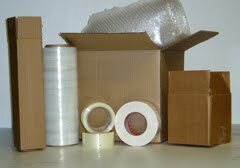 The Box Shop provides you with packaging material at reasonable cost. The Box provides you with the best quality packaging material. It includes bubble wrap, a very essential product needed during the time of packing. It helps protects your article from any kind of damage as the bubbles act as cushion to your objects. Delicate objects remain safe when bubble wrapped. The Box Shop has tape guns. They are used to seal the objects wrapped with bubble wrap. It also provides you with the boxes of various sizes as per your requirements. At The Box shop you can buy storage units of your choice from large unit of 155sqft to small unit of 50sqft. Other sizes are available as per the requirement. The Box also provides with value added services like courier service, transportation, inventory management etc. The Box is one Dubai storage company known for providing best services to the customers as per their requirements. They provide with office and house removals in Dubai. During the time of relocations if you need to store your household items The Box has household storage in Dubai.